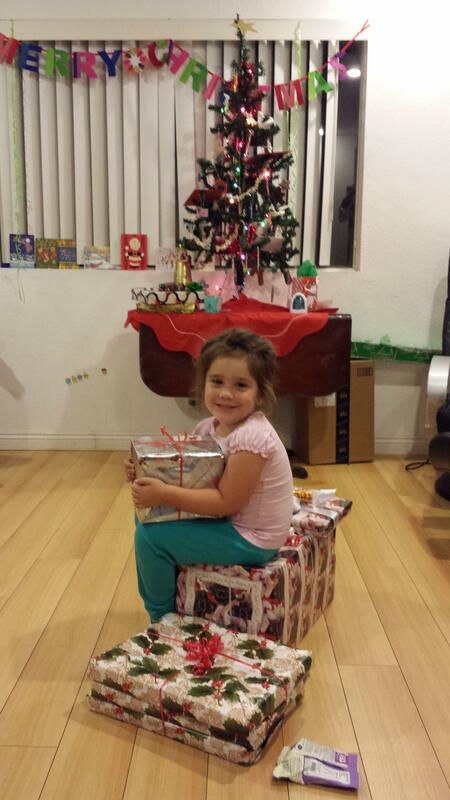 Darla sitting on her gifts on Christmas Eve. It is 1:23am and the wind is guttering through the space in my bedroom window where the holiday lights traverse from roof to my indoor socket. I need to get up.